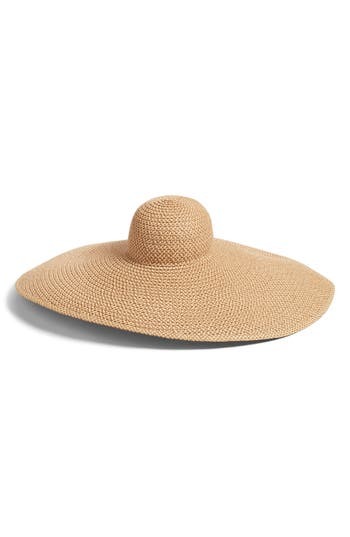 I’ll be the first one to admit that trend of the giant straw hat, made famous by designers Jacquemus and Olmos & Flores, is obnoxious. 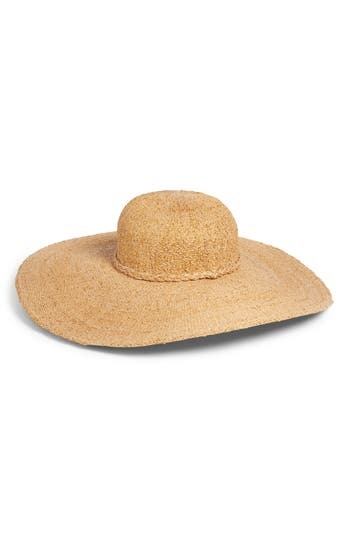 But, there’s literally nothing more luxurious on the face of this earth than a flimsy, oversized, straw hat that blocks the sun and everyone around you. Emily Ratajkowski was recently spotted wearing the straw hat trend on vacation in Mykonos. Though I’m not really sure she pulled it off in the best outfit, you’ve got to admit she’s working the look! In contrast, Bella Hadid went for the ‘less is more’ tactic, wearing nothing but her hat and a thong bikini on the beach. Statement headwear may not be for everyone, but it’s a look I’m willing to get behind 100%. Clearly, a lot of other people are too, since they’re both sold out at every retailer. Just in case you’re interested in pulling off the look yourself, here are similar alternatives you can buy now.